Lord Vishnu is one among the principal deities in Hindu mythology. He is considered as the ‘preserver’ among the trinity. The deities Rama and Krishna are all his avatars. 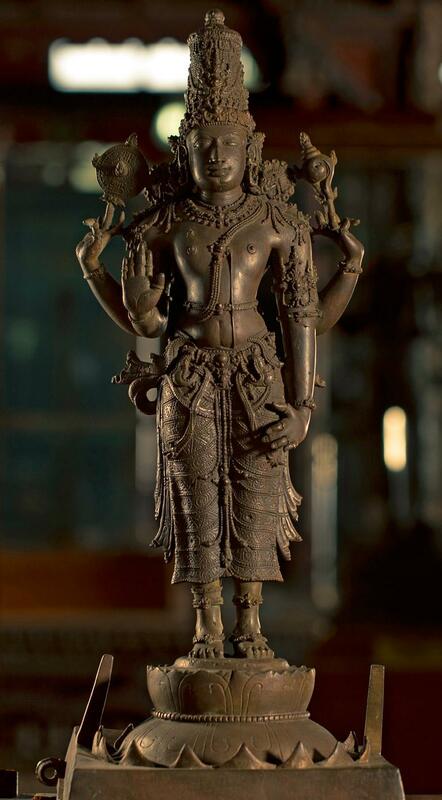 This is a beautiful sculpture of four armed Lord Vishnu decked with all ornaments and is standing on a Lotus pedestal. The figure is more prominent.